UK new car demand falls -8.5% in the month as buyers hold back ahead of June general election, with 186,265 cars registered. Year-to-date performance dips slightly, down -0.6% as market stabilises, but more than 1.1 million new cars registered in Britain since January. The UK new car market declined in May ahead of the general election, with demand falling -8.5%, according to figures released today by SMMT. 186,265 new cars were registered in the month, with business purchases driving the market, up 20.1%, to offset declines from private and fleet buyers. Although it dipped slightly in the previous month, the market for alternatively fuelled vehicles (AFVs) bounced back in May to continue the upward trend seen in the first quarter and take a new record market share of 4.4%. More than 8,000 AFVs were registered in the month, representing an increase of 46.7%. 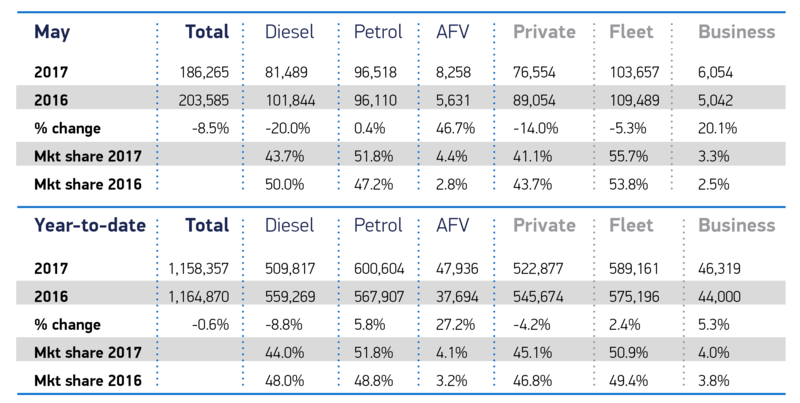 Almost 50,000 new AFVs have joined BritainÃ¢ÂÂs roads so far this year. 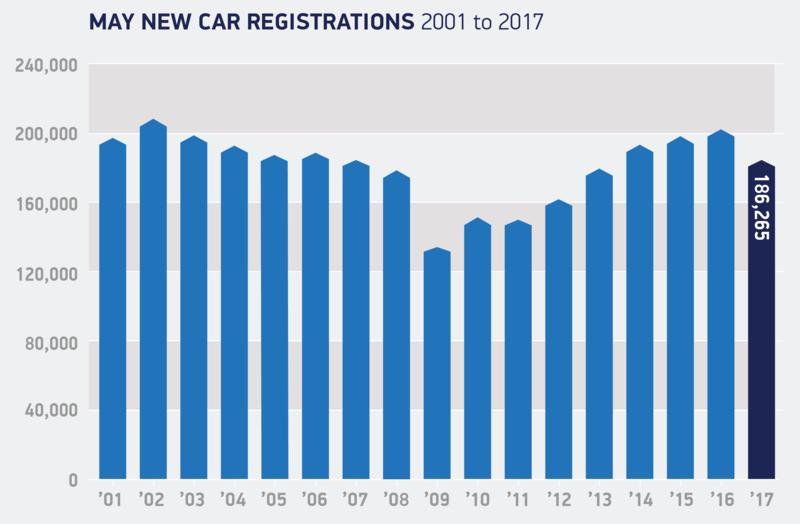 Despite a dip of -0.6% in overall registrations since January, more than 1.1 million new cars have been registered on UK roads so far in 2017. Business and fleet sectors have driven demand, up 5.3% and 2.4% respectively to offset a decline from private buyers of -4.2%. However, more than half a million new cars have been registered by private buyers since the start of the year. We expected demand in the new car market to remain negative in May due to the pull-forward to March Ã¢ÂÂ which was an all-time record month Ã¢ÂÂ resulting from VED reform. Added to this, the general election was always likely to give many pause for thought and affect purchasing patterns in the short term. Although demand has fallen, itÃ¢ÂÂs important to remember that the market remains at a very high level and, with a raft of new models packed with the latest low emission and connected technology coming to market this summer, we expect the market to remain strong over the year. 1 The previous monthly AFV market share record was 4.2% achieved in January 2017.